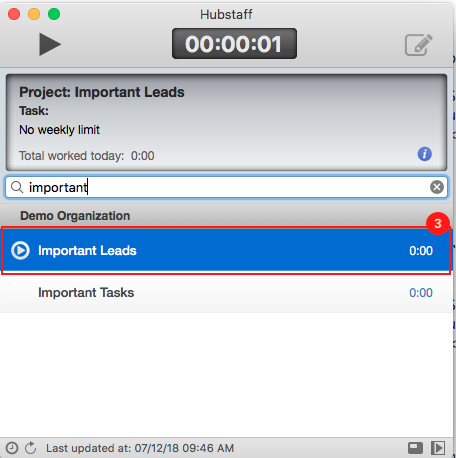 Hubstaff offers a way to quickly filter your assigned projects, to find the one you need to track time to. 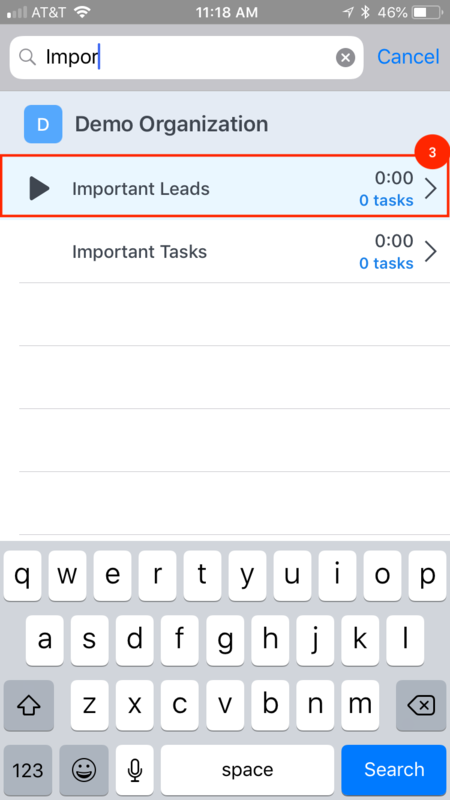 This is extremely useful for users who have many projects they track time to on a regular basis. The Hubstaff project search feature works with both our desktop app & our mobile app. 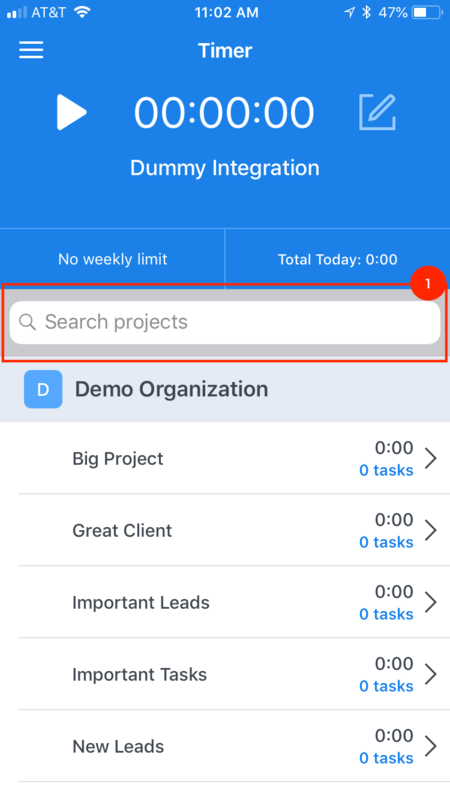 Make sure the app is not in ‘compact mode’ & locate the project search bar. Type some text of projects you are assigned to into the search bar. The projects containing that text will now filter out unwanted projects. 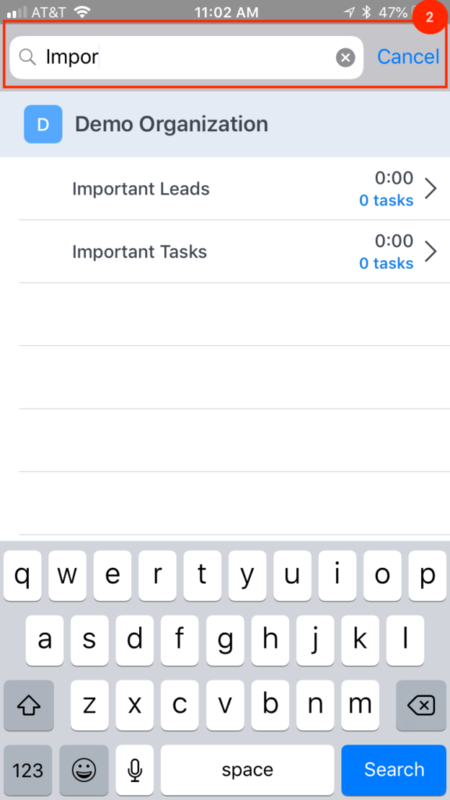 You can then press the start button on the project you want to begin tracking time to. Scroll the project list down to reveal the project search bar.